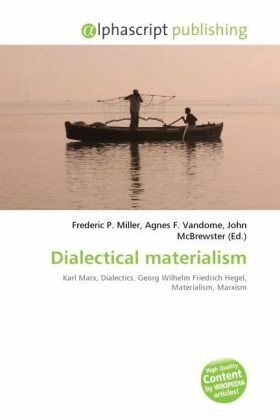 Dialectical materialism is the philosophy of Karl Marx, which he formulated by taking the dialectic of Hegel and joining it to the Materialism of Feuerbach. In dialectical materialism, Karl Marx proposed that one not only has to consider the system of cause and effect, but take into account that the effects are certain to be causes for something else. It does, of course, take a materialist position According to many followers of Karl Marx's thinking, it is the philosophical basis of Marxism.